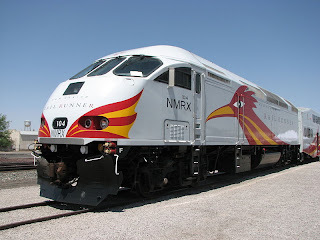 Finding that Applicant New Mexico Mid-Region Council of Governments ("MRCOG") had violated Section 10 of the Trademark Act when it assigned its ITU application for the mark NEW MEXICO RAILRUNNER to the New Mexico Department of Transportation ("NMDOT"), the Board granted summary judgment to Opposer Railrunner N.A., Inc. It ruled that MRCOG and NMDOT failed to overcome Opposer's prima facie case that the application was assigned without the transfer of any part of Applicant MRCOG's business. 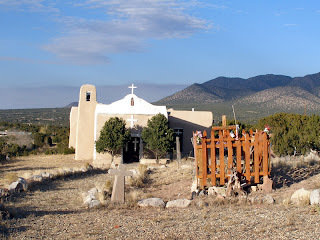 Railrunner N.A., Inc. v. New Mexico Department of Transportation and New Mexico Mid-Region Council of Governments, Opposition No. 91172851 (July 17, 2008) [not precedential]. The Board observed that Section 10 of the Trademark Act in essence provides that, "prior to the filing of an allegation of use, ... an intent-to-use ('ITU') applicant may not transfer its application to another, unless it also transfers with it at least that part of applicant's business to which the mark pertains." And applicant must already be "providing the goods or services recited in the application." [TTABlog query: Is that what the statute means? I doubt it]. In Clorox Co. v. Chem. Bank, 40 USPQ2d 1098 (TTAB 1996), the Board found that, in keeping with the legislative history of the Trademark Law Revision Act of 1988, "any improper transfer results in a void application ...."
MRCOG filed the subject application on February 7, 2005 and assigned it to NMDOT on July 3, 2007. MRCOG had not filed an Amendment to Allege Use prior to the assignment. The assignment document made no reference to the transfer of any part of MRCOG's business, and the record was devoid of documentary evidence of such a transfer. The only evidence submitted in opposition to the summary judgment motion was an affidavit from MRCOG's Executive Directer asserting that "NMDOT is the successor in business to the operation of the railroad in Region 3 and in Santa Fe county." The Board pointed out that no documentation accompanied the affidavit. "While we have not previously required any particular formality for such a business transfer, we simply cannot imagine a transfer of a railroad business, with its attendant assets and liabilities - or any part of it - absent written documents." The Board found the submission of the assignment document by Opposer to be sufficient evidence ("or more accurately, the lack of it") to establish a prima facie case that the mark was transferred contrary to Section 10. Direct evidence, if any, "was surely available to applicant, and opposer cannot prove that evidence it would not have access to in the first place does not exist." Moreover, Applicant's unsupported claim that NMDOT is a successor to MRCOG's rail business is not sufficient to raise a genuine issue of material fact that would preclude summary judgment. Mere denials of Opposer's allegations do not suffice. Fed. R. Civ. P. 56(e)(2). The Board therefore granted summary judgment to Opposer on this issue. Text and Madrid photograph Copyright John L. Welch 2008.